In 2016, cars are no longer the “industry of industries.” Electronics has, at least, as solid a claim to this title. And, in a discussion of Toyota and Tesla, what is the relevance of Peter Drucker? I see him as a pied piper, who led American management astray through eloquent advocacy of questionable ideas . We owe him Management as a profession in its own right, where selling sugared water qualifies you to run a computer company. We also owe him Management By Objectives (MBO), that he acknowledged after 45 years was ineffective. If we must quote an American management thinker, how about Deming? As a writer, he didn’t hold a candle to Drucker. He only wrote a few books, badly structured and with misleading titles, but his ideas were deeper than Drucker’s and, unlike Drucker’s, most of them have stood the test of time. I see Tesla as a graft of the Silicon Valley culture onto the car industry. Mark Donovan hails Elon Musk as a hero, and, perhaps, the Tesla story would not have been possible without him, but I see him as the last in a long line of outstanding business leaders who have built what is Silicon Valley today for the past 80 years, starting with Bill Hewlett and Dave Packard and continuing with Andy Grove, Steve Jobs, Mark Zuckerberg, and plenty of other, less known figures. Jim Womack goes through the entire official history of Toyota and the emergence of its cautious, stepwise approach to innovation, and contrasts it with what he perceives as Tesla’s reliance on “genius and adrenaline” to compensate for the lack of a plan or a business system. I don’t know how Tesla works or whether they have good plans. What I do know is that Silicon Valley has no shortage of ideas on how to develop innovative products and bring them to market, backed up by success stories. While different and sometimes at odds with the Toyota Way, TPS, or Lean, it should not be underestimated. This Doctor is Upset, But It Doesn’t Really Sound Like Lean | Mark Graban | leanblog.org Project Manager Versus Chief Engineer: What’s The Difference? I can assure you that Elon Musk and Tesla will stumble, fall, get up, dust off their clothes, start running again — all the Lean thinkers in the world have been misled ever since the book LEAN THINKING misguided us that WASTE ELIMINATION is what makes a manufacturer successful. H**l no, it is the ability to deliver what the customer wants by his/her due date at a price that he/she will pay that remains the key to success — which means tolerating waste if that makes flexibility and agility feasible! Sadly, since we Lean thinkers only understand how manufacturing facilities work through the writings of one or other management consultants, we suffer from the delusion that Lean Leadership, Six Sigma, Workforce Engagement, and other fluff will make us world-class manufacturers. No, sir, it is going to be the ability to make the things we make in a totally different way, even if it flies in the face of the vaunted Toyota Production System. 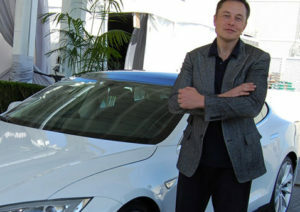 Rumor has it that Elon Musk terminated his partnership with Toyota. I will humbly guess that he wanted to do things differently and that must have alarmed the s**t out of the execs at Toyota. I will make a friendly wager with every Lean Thinker out there that the TESLA Production System is what the world will be adopting and not the TOYOTA Production System in this 21st Century.